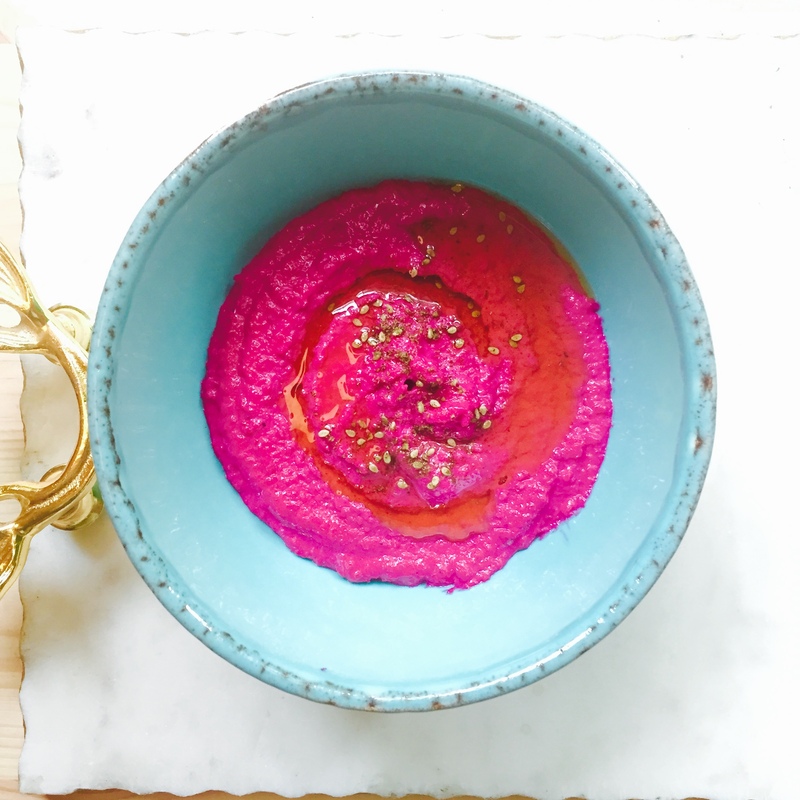 I call this beet hummus life-altering for a reason-it is no joke. 1 cooked and peeled beet (any kind of beet works-I’ve used golden beets as well) *update: you can use either cooked or raw beets! 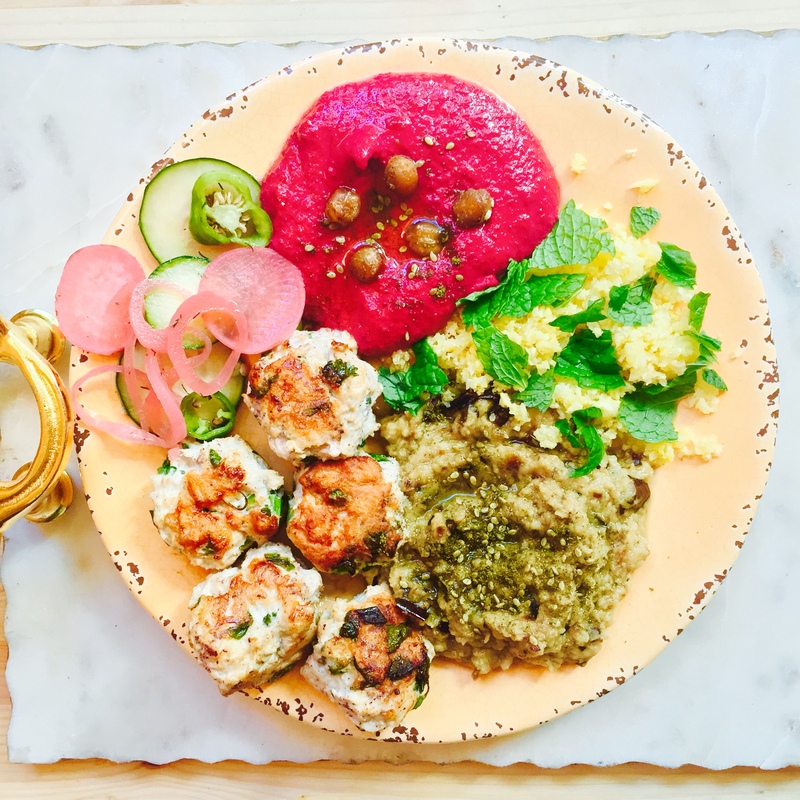 *Chickpeas add a lovely flavor but if you are paleo or have a sensitivity, you can still make this hummus using just beets! To cook your beet, place the beet in a pot and cover with water. Boil on medium/high heat for about 40 minutes (or until you can easily penetrate beet with a fork). Let the beet cool. (*update: or simply use a raw peeled and chopped beet) Meanwhile, peel four cloves of garlic and place them in your chopper (or whatever you’re using) you can use up to 6 cloves of garlic if you like things heavy on the garlic (I definitely do). Next, add in chickpeas if you are using them. Then add tahini, sea salt, lemon juice, cumin, and olive oil. After the beet has cooled, peel and chop the beet and add it to the chopper. Combine until smooth-if you feel the hummus is chunky or isn’t combining well, add in more olive oil slowly. OH EM GEE! This looks AMAZZING! I definitely need to try some beetroot! I love beetroot one to definitely try. The colour is amazing.